A navy bomber jacket and navy cargo pants make for the perfect base for a great number of ensembles. Finishing off with Diesel black leather casual boots is the most effective way to inject a dash of elegance into your getup. If you're a fan of practicality dressing when it comes to your personal style, you'll love this simple pairing of a light blue denim shirt and black ripped jeans. 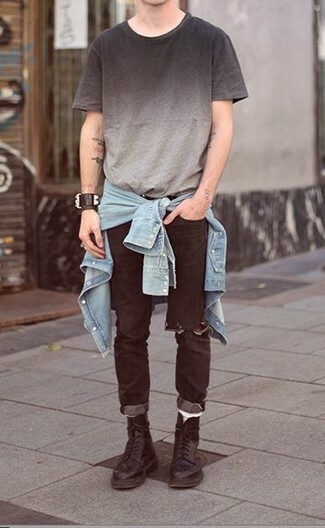 Sporting a pair of Diesel h cage high st boots is an easy way to add some flair to your look. If you're looking for a casual yet stylish getup, marry a red quilted gilet with charcoal chinos. Both pieces are totally comfortable and will look great paired together. 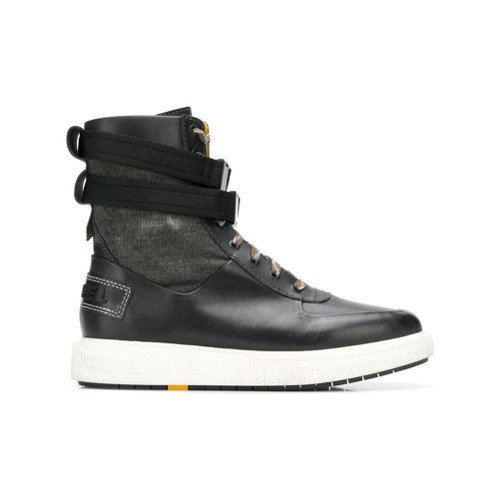 Take a classic approach with the footwear and choose a pair of Diesel h cage high st boots from farfetch.com. 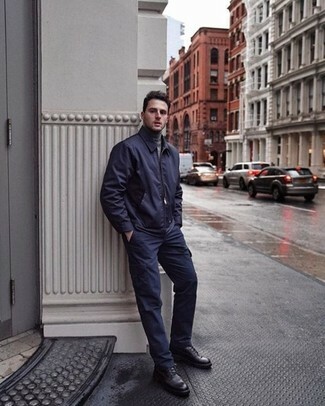 This pairing of a black pea coat and navy jeans is very easy to throw together in no time flat, helping you look amazing and ready for anything without spending a ton of time going through your closet. 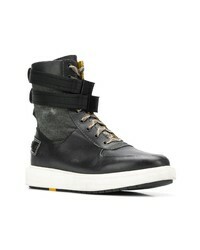 When it comes to shoes, this outfit pairs wonderfully with Diesel h cage high st boots from farfetch.com. Dress in a navy quilted gilet and black wool dress pants for incredibly stylish attire. Want to go easy on the shoe front? Rock a pair of Diesel h cage high st boots for the day. 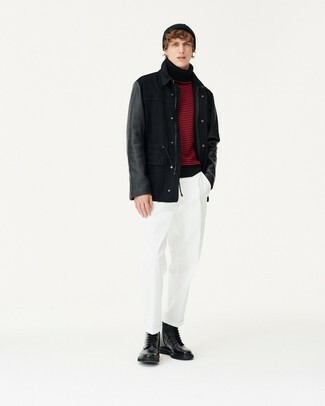 If you're on the hunt for a casual yet on-trend outfit, pair a black field jacket with white chinos. Both items are totally comfortable and will look great paired together. 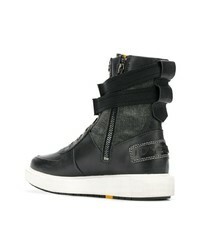 Amp up the cool of your ensemble by complementing it with Diesel h cage high st boots from farfetch.com. 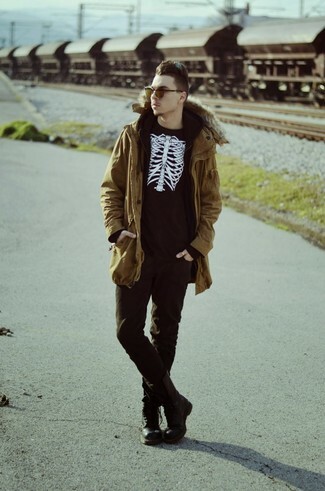 If you're looking for a casual yet dapper outfit, try pairing a black trenchcoat with navy skinny jeans. Both pieces are totally comfortable and will look great paired together. 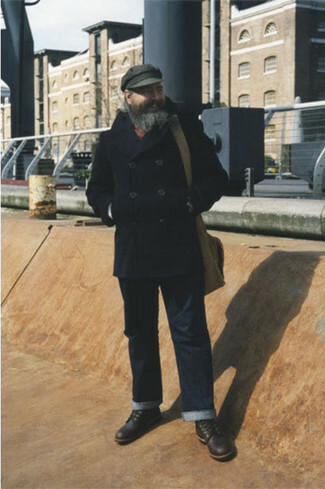 Look at how well this outfit is finished off with Diesel h cage high st boots. If you're a fan of relaxed dressing when it comes to fashion, you'll love this easy pairing of a mustard parka and black jeans. To add elegance to your outfit, complete with Diesel h cage high st boots. If you're on a mission for a casual yet stylish outfit, pair a charcoal shawl cardigan with navy jeans. Both items are totally comfortable and will look great paired together. When it comes to footwear, this look pairs nicely with black leather casual boots.